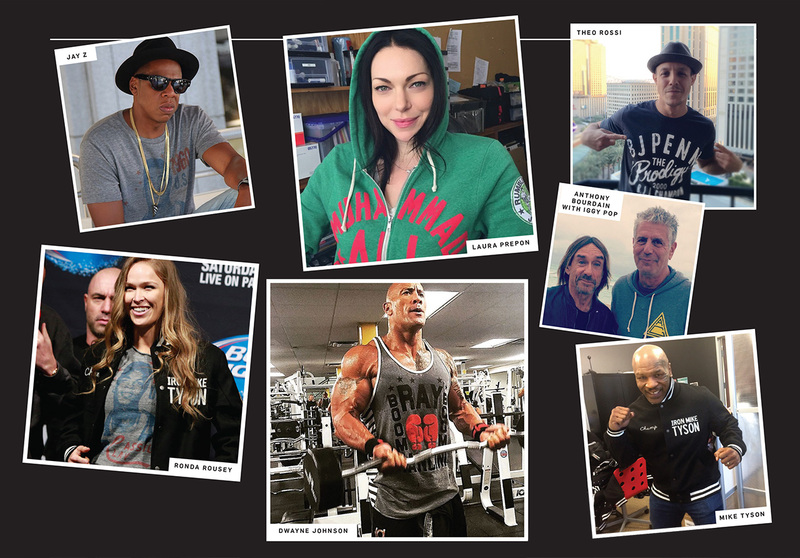 You may have noticed celebrities such as Jay Z, Beyoncé, Dwayne "The Rock" Johnson and UFC champ Ronda Rousey wearing apparel emblazoned with the names of iconic fighters such as Muhammad Ali, Mike Tyson and Bruce Lee. The brand they're wearing is called Roots of Fight. With no advertising, no marketing and no ad agency, the upstart sports lifestyle brand has exploded into one of the hottest new lines in years. 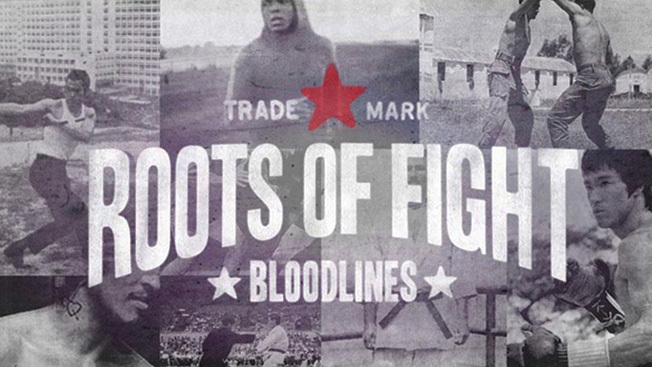 The story behind Roots of Fight provides a lesson for agencies and clients looking to reinvent themselves through fashion and design. Roots of Fight actually started off as a seven-person brand strategy agency named Copasetic Creative in Vancouver, Canada. Founded in 1999, the small shop worked mostly on beer and sports accounts. But when the economic recession of 2008 nearly turned out the lights, co-founders Jesse Katz and creative partner Richard Lawley had a brainstorm. The duo were big boxing and mixed martial arts fans. But they disdained the design and marketing of combat sports apparel, which typically featured skulls and crossbones, snarling pit bulls and gothic design/fonts. Using their sports Rolodex, they approached friends such as Shannon Lee, daughter of the late, great martial artist Bruce Lee. "I was a 30-year-old who had been a lifelong boxing fan and lifelong martial arts fan—but I couldn't stand the marketing around it," Katz recalled. "So I thought we could create some imagery here and tell the history of martial arts and the evolution of combat sports—and really create a whole different marketing scene for boxing and mixed martial arts." They started working on concepts in 2009, focusing on building the brand first. With little money to work with, they began signing licensing/royalty deals with ex-champions such as Ali, Tyson and Joe Frazier from boxing and Royce Gracie from the UFC. They soft-launched Roots of Fight in early 2012, with a collection dedicated to Ali on his 70th birthday. All the while they kept their day jobs, pouring profits from the agency into their embryonic brand. "Roots of Fight was a labor of love. It was a passion project," Katz said. The dedication paid off in 2013. On their own, the biggest names in the UFC such as president Dana White and announcer Joe Rogan began buying, and wearing, Roots of Fight apparel. Then celebrities such as Jay Z and Beyoncé, celebrity chef Anthony Bourdain and Orange Is the New Black star Laura Prepon began styling in the brand's T-shirts, sweatshirts and jackets. None were paid a dime. The Rock ordered 50 shirts in 2XL and 3XL. Roots of Fight took it to another level in 2014 when it collaborated with Under Armour on three product lines. By early last year, the founders of Copasetic Creative had enough money to close down the agency—and completely focus on Roots of Fight. Matt Powell, a sports industry analyst with NPD Group, thinks Roots of Fight is smartly pouncing on the "retro" trend that's swept athletic footwear and is now moving into apparel. Names like Ali, Tyson and Lee have a power all their own, he said. "I think these athletes are viewed as truly authentic without all the current celebrity-athlete trappings, like entourages and paid endorsements," said Powell. Roots of Fight's unique marketing/distribution strategy makes it the "anti" Abercrombie & Fitch, said Katz. Rather than slapping its logo on the outside à la Nike, it hides it inside the clothes. Rather than advertising, it relies on celebrity influencers, mini-documentaries and social media. Rather than seeking mass retail distribution, it sells almost all of its gear through its own website. With e-commerce sales up tenfold since the beginning of 2014, it has more than doubled its staff to 15. "We're a discovery brand completely. You don't know who we are—or where we came from," Katz said. "We kind of see ourselves as brand custodians for all of the fighters we work with. We're treating their brands like an agency. We're building their brands for them. We're treating them with respect. We're connecting them to their fans—and to their own histories and stories." This story first appeared in the Aug. 31 issue of Adweek magazine. Click here to subscribe.